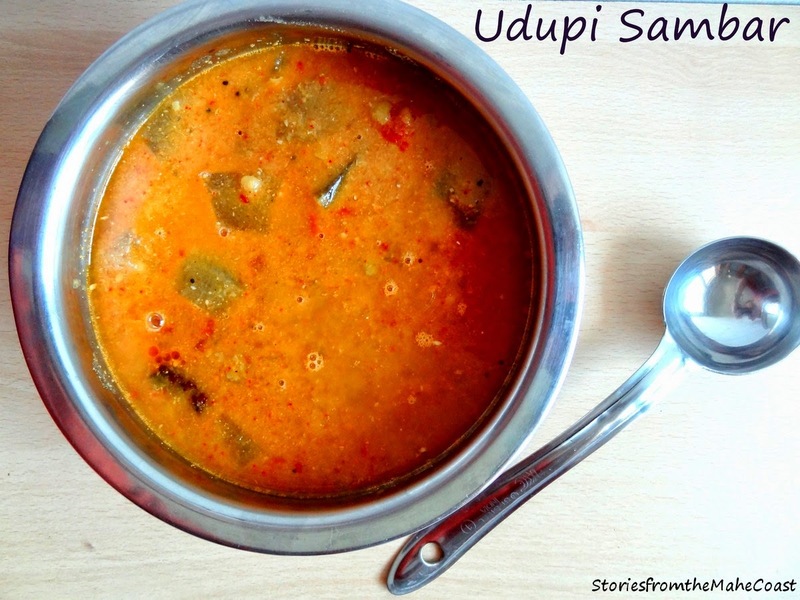 Another North Karnataka Recipe. Desserts hardly find a mention in my blog. I am not a desserts kind of person, especially if I have to make it myself. So, this time Holige is featured here. It is also a nice snack option for kids. My friends had wanted me to post some recipes for kids. 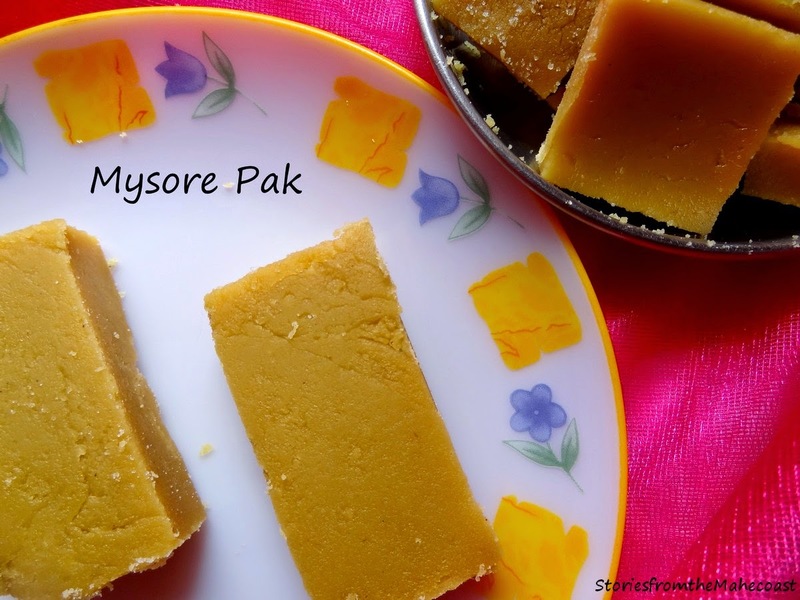 The peanuts and Jaggery are healthy and the kids will love it. Do try. Gulbarga - Gulbarga district is one of the 30 districts of Karnataka state in southern India. Gulbarga city is the administrative headquarters of the district. In Persian language Gul means flower and berg means leaf thus making Gulberga once a land of lavish living. All purpose flour - 1/2 cup + few tablespoons more to adjust the consistency of the dough. 1. Make a dough with wheat flour, all purpose flour, oil, salt and water. 2. Knead very well for a while, to make a soft stiff dough. Close it and allow it to rest for 30 minutes. 3. Note that you might have to add a couple of spoons of flour to make a smooth dough. The consistency should be that of chappati dough. 4. Roast the peanuts. Allow it to cool and remove the skin. 5. Grind the roasted peanuts with the jaggery chunks and crushed cardamom to a powder. This is the filling. Check the filling for sweetness. If you want to add more jaggery, this is when you should do it. 6. From the prepared dough, take a lemon sized portion and roll it into a circle with a rolling pin. 7. Place the filling in the center and fold the edges of the rolled circle to hold the filling in. 8. Make a ball and press it down gently. 9. Roll again using a rolling pin into a circle or whatever shape you can manage. 10. Place on a hot tawa and cook on both sides. Repeat this process to make more holiges. 11. 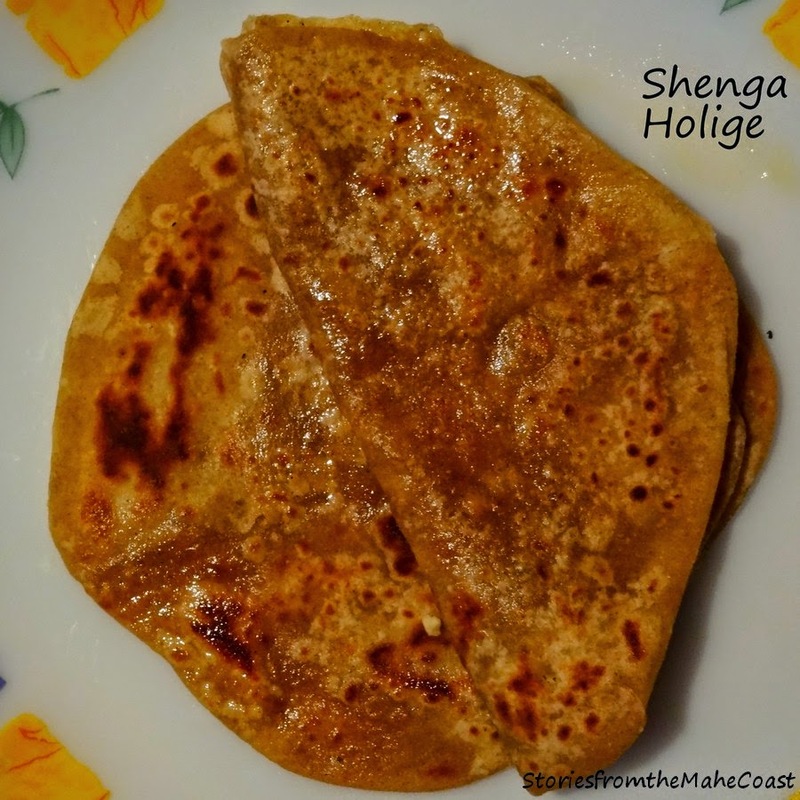 Drizzle with ghee generously and serve hot. 1. The dough can be made with wheat flour completely or all purpose flour. I have mixed both as mentioned. 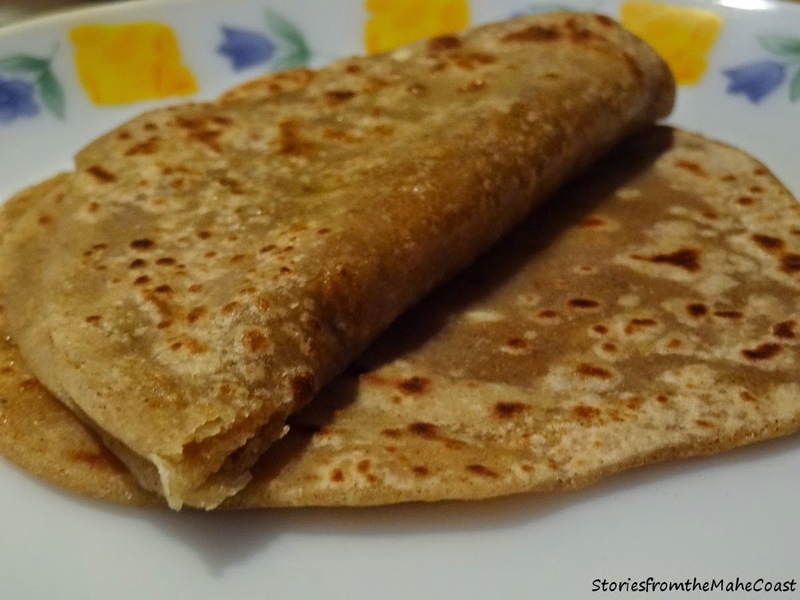 I have tried it with wheat flour only and is definitely a healthy option. 2. The holige tends to harden a bit when it cools. Microwave just before eating for a soft holige. 3. This dish is made in almost all the Indian states with the filling varying according to the region. This roasted peanuts is a north Karnataka special. Sending this to Tamalapaku's event. The event was conceptualised by Srivalli.